Will there be a second season of Chesapeake Shores? Recently, showrunner John Tinker spoke with My Devotional Thoughts about the future of the Hallmark series. 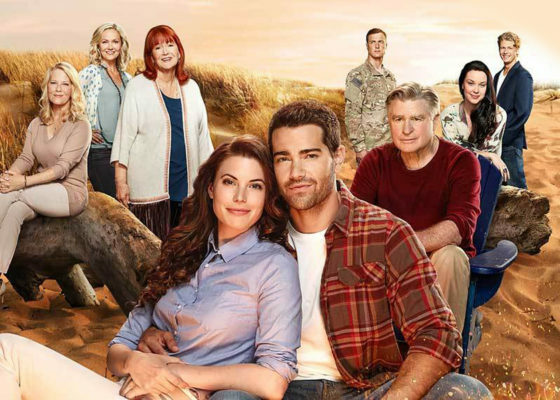 Based on the novels by Sherryl Woods, the drama “follows Abby O’Brien (Meghan Ory), a high-powered career woman, divorcee and mother to twin daughters, who makes a trip from New York City to her hometown of Chesapeake Shores.” The cast also includes Jesse Metcalfe, Treat Williams, and Diane Ladd. Season one just premiered on August 14th. Hallmark has not yet renewed Chesapeake Shores for a second season. What do you think? Did you watch the premiere of Chesapeake Shores? Do you want a second season? I love Chesapeake Shores and I hope it continues for a long time. My husband and I binged watch the first 2 seasons, then purchased the DVD of season 3, because we couldn’t wait to for it to come out on Netflix. We are anxiously awaiting Season 4 but disappointed to hear there will only be 6 episodes. Please continue with Season 5 and many more. Please have at the very least 1 or 2 more seasons of the show Chesapeake Shores, it was fun to watch and easy to enjoy. A few less commercials would make it even better, I really enjoyed it . Yes, I would love to see a Season 2!! I make a point to watch it every Sunday night! Bring it back!!! Why wouldn’t there be a Season 2? This is a great show, beautiful scenery…I don’t get it…Bring it back, please! Waiting to see a season two. Its now August 18th, 2017. Where is it?????? My daughter and I watched Chesapeake Shores and then talked about it. When is it returning. I have been looking for the second season.